In the days following the sudden death of Mike Hall in 2017, some of Mike’s friends in the UK Audax community felt the need to plan a group ride that encapsulated his spirit. 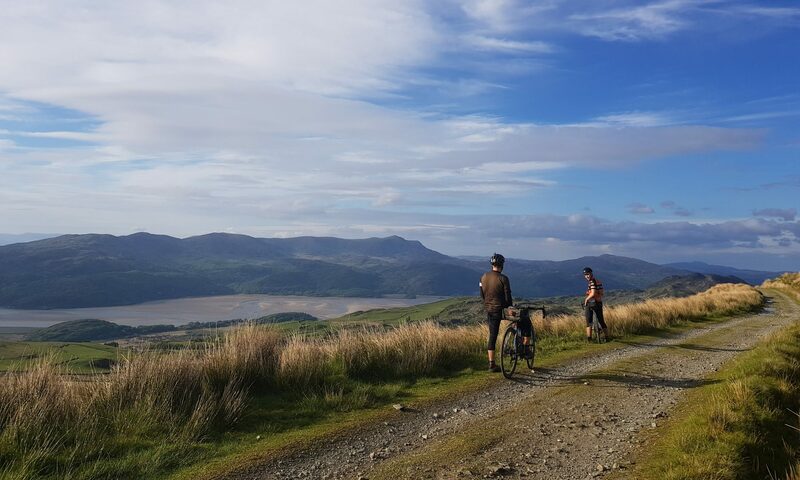 Driven by the challenge of self-supported adventure, Mike often rode 400km in a day on his bikepacking races, was always keen to incorporate a bit of gravel into his Welsh road training rides and was certainly not shy of hills. We wanted to capture the essence of his article ‘This is not a tour’ in an Audax format. Having talked it over, and ideas shared with Mike’s close family and friends, a plan was hatched for an Audax UK calendar event. The result was a challenging 400km mixed surface route with some of the steepest 7500 meters of ascent you’ll ride in Wales. We felt that Mike would approve. However, in a bid to live up to Mike’s efforts to be inclusive of all abilities, we broadened the rides on offer. So in 2018, 100km, 200km, 300km, 400km and 600km rides were organised in memory of our friend Mike. We finished the weekend with real ale, a spit roast pig and veggie burgers and TINAT was born. Whilst still riding high on the atmosphere from that weekend, and by very popular request, we decided to run a series of rides in 2019. It’s taken a while but we now have a set of TINAT rides scheduled for the 15th-16th June 2019. Our base for the weekend will once again be Highland Moors in Llandrindod Wells. These rides demand a commitment to make the time allowances. And whilst they are not races, we encourage spirited riding. We have more detail on our news page.